Endovenous Thermal Ablation (EVTA) is an alternative to varicose vein stripping that utilizes a thin fiber that is inserted into the abnormal saphenous vein through a small incision in your leg. EVTA can be accomplished with either radiofrequency heat (FastClosure) or laser energy (EVLT). Each system offers different advantages and disadvantages depending on severeral factors depending on your particular anatomy. At Middletown Vein and Aesthetic Center we are experts in both forms of therapy and use either on a daily basis. 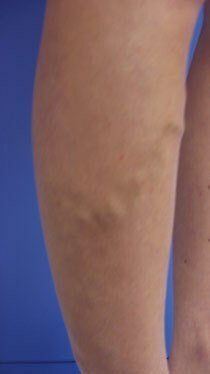 Our extensive experience in catheter-based interventions allows us to treat smaller and tortuous veins that would normally not be treatable with this minimally invasive technique at other centers. Regardless of which type of ablation method is chosen, the energy is delivered as the fiber is slowly pulled back along the length of the vein which results in the closing off of the abnormal vein. Both procedures generally take 30-45 min. 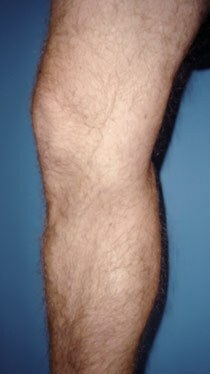 An anesthetic will be administered along the course of the vein which will render the procedure virtually painless. Because only a small incision is needed to insert the fiber into the vein, there is no scarring and you will be able to return to your normal daily activities immediately. Either procedure can literally be performed during your “lunch hour”. 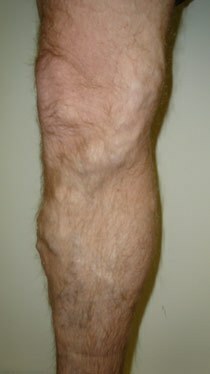 Following the procedure you will wear a compression stocking for 2 weeks to help ensure that the vein remains closed.